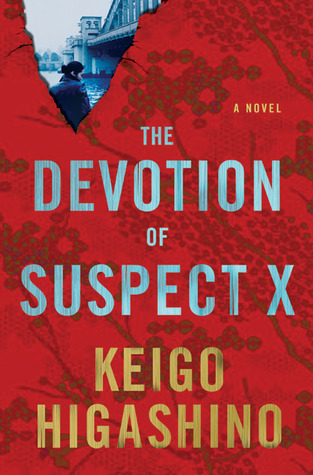 Keigo Higashino’s Devotion of Suspect X was a finalist for the MWA Edgar Award for Best Novel in 2012. I liked it, but ranked it in the middle of the pack and ultimately the Edgar went to Mo Hayder’s Gone (also my pick). He’s penned a couple since then which have been translated into English, most recently the just-released Under the Midnight Sun. 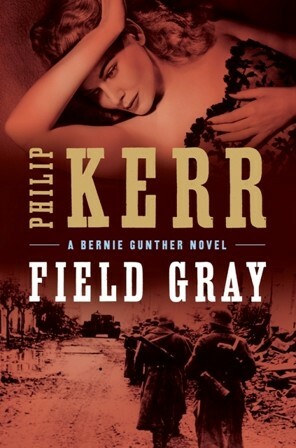 The book is lengthier than the usual crime novel, but needs the pages for the sheer sweep of story. The murder of an adulterous pawnbroker followed by the apparent suicide of the pawnbroker’s lover brings together two children. Ryo Kirihara is the pawnbroker’s son. And Yukiho Nishimoto is the woman’s daughter. Determining what really happened and why is Detective Sasagaki’s lifelong quest. The book unfolds at a leisurely pace, although it soon becomes clear that there is more, much more, simmering beneath the surface. Why do bad things happen to those who stand between Yukiho and something she wants? How does the clever Ryo accomplish so much, just to disappear abruptly and resurface with a different name? Sasagaki spends decades plumbing the depths of the mystery of the pair’s relationship. He suspects that Ryo and Yukiho offer the human equivalent of the symbiotic relationship between the goby and the shrimp, with Ryo as the goby. “One cannot live without the other,” says Sasagaki. Under the Midnight Sun offers plenty of suspense as the plot twists along, incorporating characters and perspectives. Some are unsuspecting victims, others are suspicious. All are of interest. 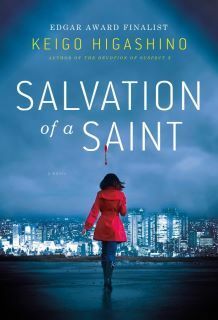 My previous review of Higashino’s Salvation of a Saint said it was a cerebral puzzler with minimal drama. I have to echo that for Under the Midnight Sun. Some will read a chapter or two, then set it aside and instead pick up the latest Lee Child or John Sanford. But the patient reader with a penchant for the slow reveal will enjoy how well Higashino weaves the story that leads to a big – understated, but satisfying – finish. I’m about to start the Edgar countdown, but first, I have three quick reviews to do! 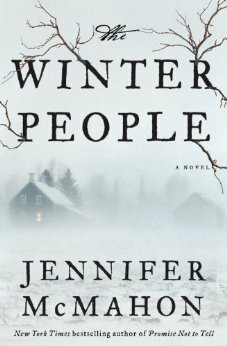 First up is Jennifer McMahon’s The Winter People. This supernatural thriller alternates between present day – when there are some mighty strange goings-on in West Hall, Vermont – and 1908, when Sara Harrison Shea’s beloved daughter Gertie dies, setting in place a chain of events that will literally never end. It’s a zombie story with a twist. Despite a plot hole or two, Winter People benefits from McMahon’s writing skill and you’ll be totally sucked in. Like a little dark magic and horror in your mysteries? This one’s for you. 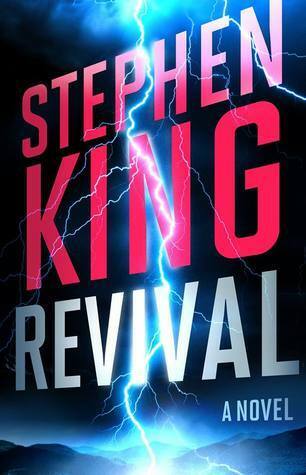 The second is Stephen King’s Revival. The book is in the tradition of Carrie, Cujo, and Pet Sematary, with a little Ray Bradbury thrown in. Jamie Morton, young son of the local minister, meets the Rev. Charles Jacobs and his family. There’s something special about Rev. Jacobs: he believes he can harness the special electrical power of the soul to heal the afflicted. The twist is: he can. After the death of his wife and child, the grief-wracked Rev. Jacobs moves on, the years pass, and Jamie grows up to be in a rock-and-roll band. When they reconnect, sparks fly (literally) and its all eerie fun and games until Charlie Jacobs actually brings somebody back from the dead to learn the secrets of life after death… that’s on page 378. King had me till then, but the rest of the book was all too graphic and over the top for me. The final book is Salvation of a Saint, by Keigo Higashino. Higashino’s debut novel, The Devotion of Suspect X, was an Edgar finalist in 2012 and I enjoyed it, ultimately ranking it in the middle of the nominees. If Winter People has breathless pacing and Revival is old-style horror, Salvation is pure Sherlock Holmes-ian deduction. Minimal drama, and what there is, is understated. For people who like their mysteries cerebral, this puzzler’s a good one.